Last week I completed a last minute illustration for the online alcohol & spirits magazine Tonique. This was an editorial illustration to accompany a series of articles from a writer currently abstaining from alcohol. I am also fortunate to be sharing space in this issue with the wonderfully talented Ben O’Brien. The original painting is available for sale and will be up in my Shop later today (if you don’t see it and are interested, just get in touch). Prints are available here. Last night I finished the last in a series of paintings that I have been working on for DaVinci Wine which will be revealed in the coming weeks. Stay tuned! Oh, and I am also available for personal watercolor commissions. I know, I know. I haven’t put up any new illustration in a while. I plan to change that later this week but, for now, I wanted to share a little more from my DaVinci Storyteller Experience. By choosing to click and read this blog post, you confirm you are of legal drinking age in the country where this site is accessed. 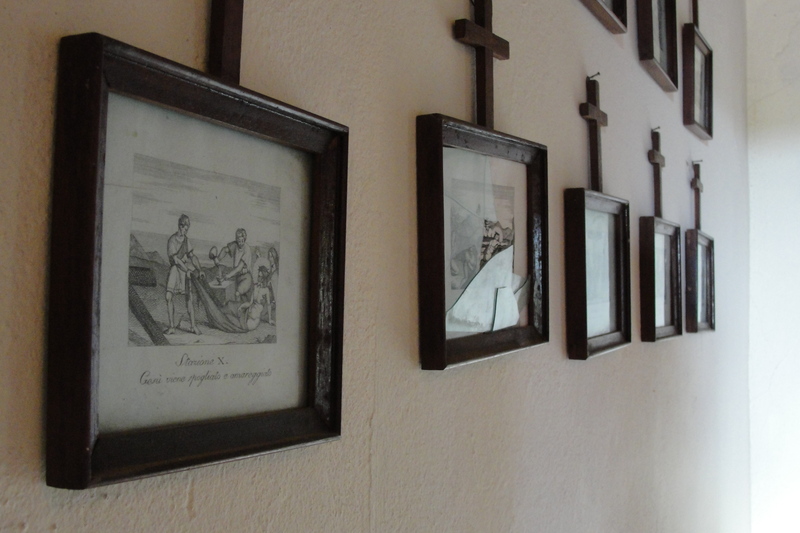 Framed illustrations inside the chapel. Below you will find a few photos and links to the album from day 2 of my experience in Tuscany as a DaVinci Wine Storyteller.